Three boys – 9, 7, and 3 years old – will now grow up without their father after he was killed by an unknown gunman at about 9:30 p.m. on Thursday, May 16, in their home in Salvapan, Belmopan. 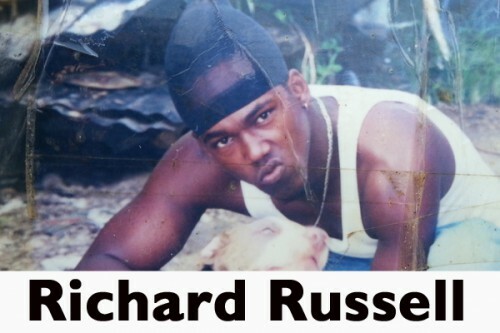 Richard Russell, 32, was at home when someone called out for him. When he went to the window to answer the call, the unknown person shot him in the face. The gunman then escaped. Russell struggled for his life, but died shortly after in his home. Diane Lamb, Russell’s common-law wife who was at home with him at the time, told reporters that he had just arrived home, and was getting some food when someone outside shouted his name. He told her to go and see who it was. He then told the person to go by the window, and as he opened the window to see what the individual wanted, the person shot him. Lamb said that she was on the bed near Russell, and she smelled the odor of the gunpowder. Their eldest son climbed into a compartment of the ceiling, for cover, while the second son took cover under the bed, and the last son began to tremble and vomit, she said. Lamb said that Russell was not bleeding heavily. He began to walk around in the house. She took a towel and put it on his mouth to clear blood, and he got the phone to call 911. He then put the phone down, and went to the bathroom and turned on the shower to take a bath. He came out of the shower, said Lamb, and walked back into the bedroom, and that was when he collapsed. He still was not dead at that point, she said. Lamb said she held him and told their sons, who were also at home at the time, to talk to him and encourage him not to die. She then ran out of the house to meet the police, who had responded to the shooting, but by the time she took them into the home, Russell was already dead. He was then taken to the Belmopan Hospital, where he was declared dead on arrival. She said that Russell had been receiving threats since February, but he had begun to ignore them. Police said they have detained a man who they believe can assist them in their investigation.